Although, the Niti Valley was accustom to outside influences that accompanied the centuries-old trans-Himalayan migratory economy, major change came with the closing of the border after the India-China War of 1962. With the disruption and complete shutdown of ancient trade routes, the economic condition of the Bhotiya communities began to decline precipitously. Compounding the abrupt halt to cross-border traffic, the Bhotiya lost their prime camping grounds in the Niti Valley and throughout Uttarakhand. Although an increase in road construction and military activity near the frontier did provide some avenues for paid work, the day labour afforded to young village men could not make up for the loss of such a significant part of the local livelihood base. Moreover, pressures on forest lands by commercial contractors in the 60s and early 70s had further eroded the precarious subsistence existence. With fodder and fuel for in short supply and destructive floods and soil erosion causing more landslides, further commercial exploitation of local forests galvanized villagers to stage a series of historic protests that sparked the famous Chipko movement. 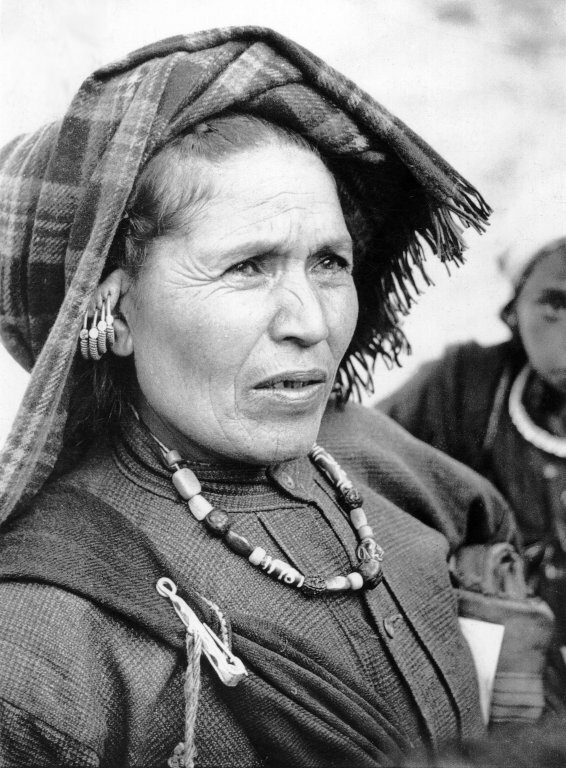 In March 1974, women from Lata, Reni, and other nearby villages led by the elderly Gaura Devi chased away axe men that had come to clear cut local forests. News of this successful stand spread to other communities throughout Uttarakhand, putting Chipko firmly on the map as one of the first modern day environmentally-inspired uprisings of the poor. 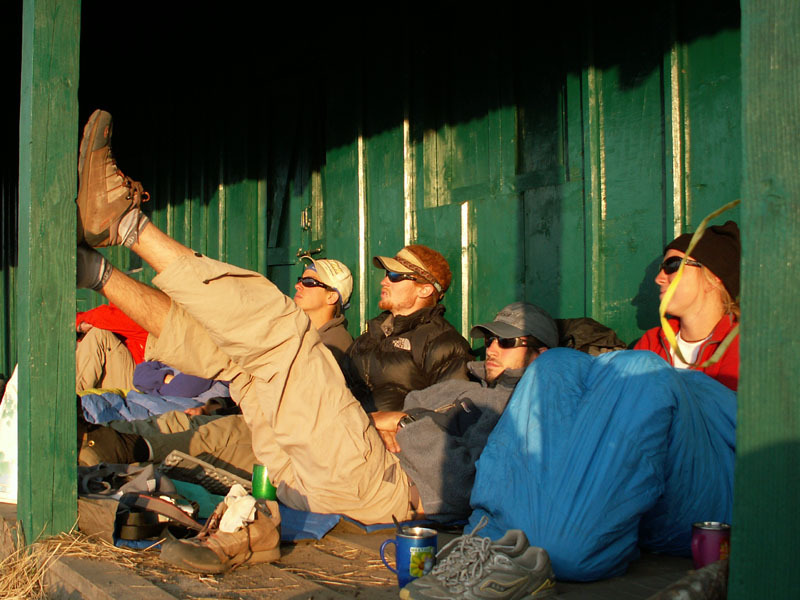 While the Bhotiya villagers were challenging and adapting to these massive changes in their socioeconomic condition, moves were afoot to open up the Nanda Devi game sanctuary (i.e., the core zone of the NDBR) to expanded mountaineering and trekking. Established by the British in 1939 shortly after the first successful ascent of the Nanda Devi summit, the sanctuary continued to attract international expeditions. However, activity remained light and access rarely granted due to Nanda Devi’s proximity to the sensitive border area and cold war intrigue that led to an ill-fated attempt in the 1960s to install a nuclear-powered listening device on the summit. By 1974, the sanctuary had become a major tourist attraction, with Nanda Devi’s popularity among mountaineers second only to Everest. Nanda Devi’s West Face in particular gained a reputation as one of the most challenging climbs in the world. For the local Bhotiya communities, this influx of tourists had a salutary affect on their shattered economy with many youth serving as porters and guides and herds entering the inner sanctuary for the first time. 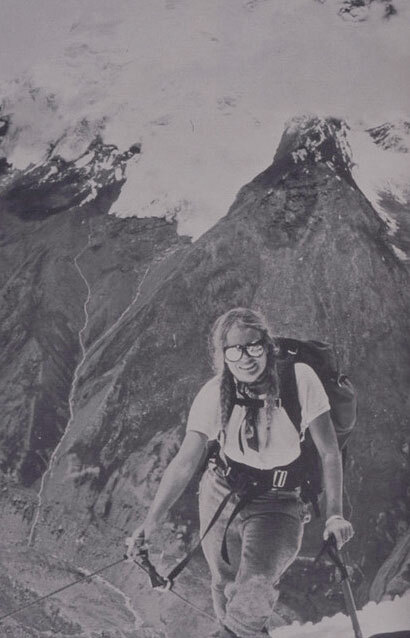 Nanda Devi’s popularity and mystique increased in spite of a rash of fatalities suffered by expeditions scaling its heights, including the tragic loss of legendary American mountaineer Willie Unsoeld’s 22-year-old daughter who bore the mountain’s hallowed name. By 1977, severe ecological damage was already being noticed by scientists. Poachers made forays into the sanctuary and herbs were being extracted in a destructive and unsustainable manner. Dumped successively by mountaineering expeditions, rubbish was accumulating at alarming levels, while scientists became increasingly concerned by the high level of traffic passing through newly opened trekking routes. In 1982, the final year the sanctuary was open, an estimated 4,000 travelers and their porters were treading annually in Nanda Devi. Towards the end of 1982, the sanctuary was converted into a national park, effectively putting an end to the tourist trade and any new mountaineering expeditions. Citing environmental concerns, the central government issued the blanket ban in order to save the national monument from further destruction and to allow time for the ecosystem to heal. However, the new statutes went even further, restricting locals from grazing their herds, harvesting medicinal plants, and collecting fallen wood from the forest floor. Needless to say, the closure of the sanctuary came as a crippling blow to the Bhotiya villagers who had only begun orienting their livelihoods towards the tourist trade. In villages closest to the main gateway into the sanctuary, over 80% of families suffered severe economic hardship due to the ban on tourism. 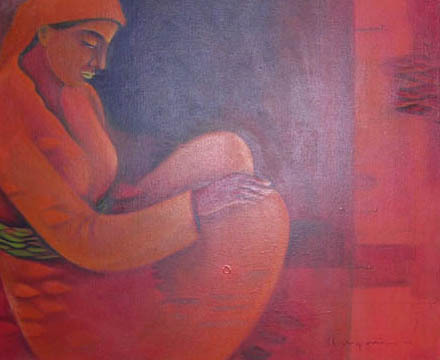 Populations in other Bhotiya settlements continued their gradual decline that began in 1962 with the collapse of their traditional trading systems. In 1988, the Nanda Devi national park was converted into a full-fledged biosphere reserve. The NDBR was to be one of 14 established throughout India to represent the country’s vast biological and geographic diversity. Originally formalized by the United Nations Educational, Scientific, and Cultural Organisation (UNESCO) in 1970, the biosphere reserve concept represented a way to conserve areas of high ecological interest. Integral to reserves was the Man and Biosphere (MAB) programme that sought to harmonize the development aims of local communities with the protection of the reserve. The Indian National MAB Committee was constituted in 1979 to carry this mandate forward, establishing the NDBR as their second official biosphere reserve. The creation of the NDBR extended the boundaries of the park, retaining the original sanctuary as its core zone and creating a new buffer zone that now encompassed the village lands themselves. Although under MAB guidelines, buffer zones were supposed to remain open to subsistence use by resident communities, in practice, further restrictions on livestock grazing in certain additional regions emerged to compound the loss of the core zone. 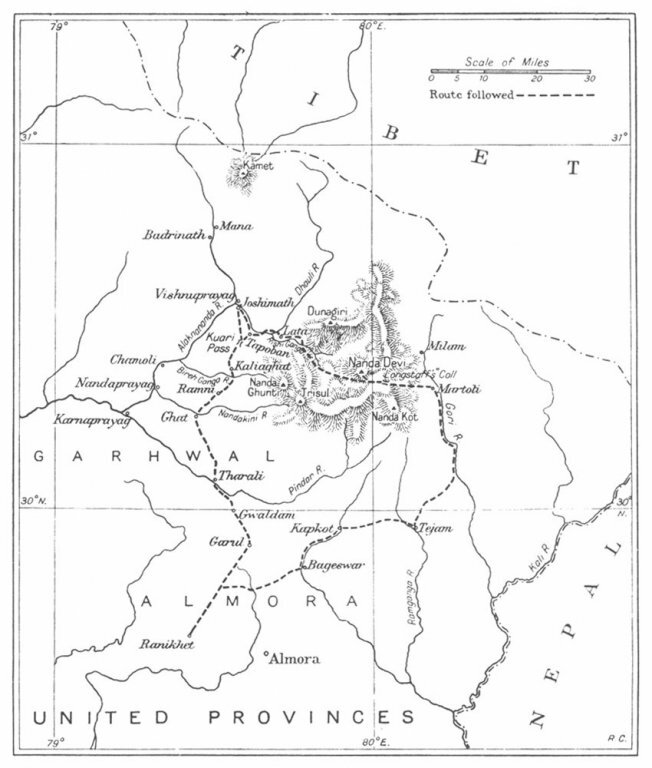 With diminished pastures, overgrazing developed into a serious problem, leading many shepherds to reduce their flocks, and consequently wool production in the villages. Likewise, the reduced availability of fuel, fodder, and other non-timber forest products rendered the traditional subsistence-based agriculture in an even more precarious state. Most upsetting was that the reserve was imposed unilaterally, without community consultation or any regard to the consequences for local livelihoods. Local participation in managing the reserve remained virtually non-existent, despite being common practice in similar protected areas around the world. Alternative income generation and development programmes were either too slow to address the crisis or were incompatible with the culture of the communities. 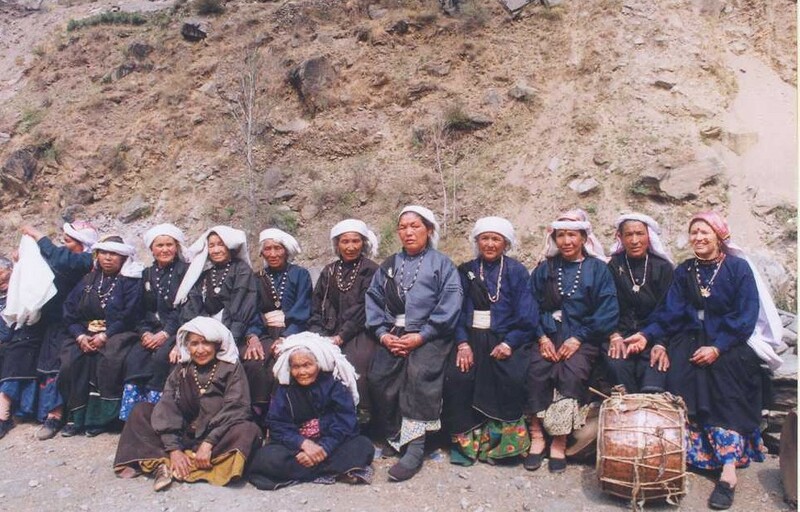 Moreover, villagers took pride in their way of life, and wanted to maintain their independence as opposed to entering into a dependency relationship with governmental agencies. That poaching of large mammals continued unabated in both the buffer and core zones, leaving many to question the viability of such a restrictive conservation regime when its primary function had been so effectively undermined. As such, despite the best intentions of NDBR management, its top-down style of functioning, belatedness in response, inappropriateness of proposed remedies, and the inability of authorities to enforce their own regulations, all combined to turn people decisively against the reserve. 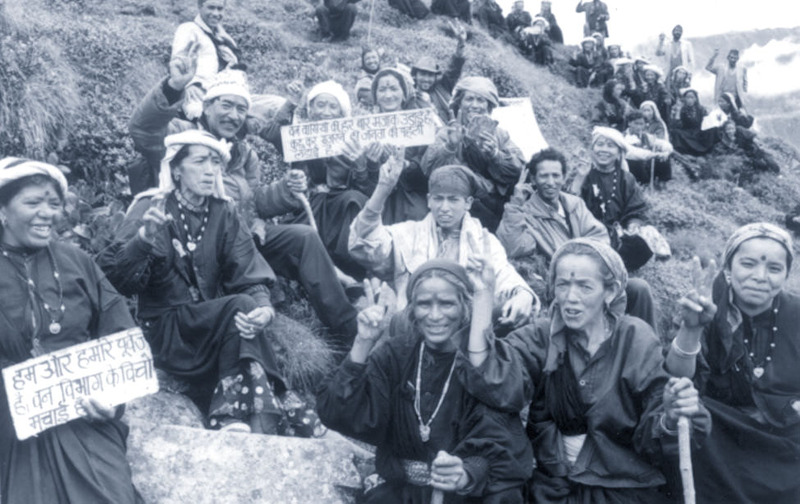 By 1998, after years of pleading and protesting their case, inhabitants of the Niti Valley again prepared for direct action. Under the inspired leadership of the Lata Village Chief, Dhan Singh Rana, people from ten buffer zone villages entered the core zone en masse, presenting a series of demands to the government for restoration of their traditional rights and roles as guardians of the Nanda Devi sanctuary. Compensation for their losses and a full accounting of funds spent on their behalf were also requested. Many of the same women who had earlier participated in the Chipko movement were again at the forefront of this new agitation, and although Gaura Devi had died a few years earlier, both her parental and adopted village of Lata and Reni were well represented. The villagers vowed to continue this Jhapto Cheeno (swoop and grab) movement and present their case in various platforms until the government recognized their claims. The people of the Niti Valley looked forward to statehood for the Uttarakhand Himalayas that was carved out of the Uttar Pradesh hills and given the name “Uttaranchal” in November 2000. As a struggle for cultural identity, appropriate development, and local control of resources, the separate state movement that had raged throughout the 90s found echoes in the Nanda Devi situation. In fact, the first tourism minister of the small mountain state was a Bhotiya from the region himself, and it seemed for a while that things were about to change for the better. In May 2001, the Indian Mountaineering Foundation (IMF), under the auspices of the Ministry of Environment and Forests (MEF), gained the Uttaranchal state government’s permission to enter the core zone and determine the feasibility of reopening the park to tourism. At first pleased by the stated intent of the IMF, Lata’s residents grew apprehensive. Fearful that the government would betray them again and allow national and multinational level tour operators and travel agencies to monopolize tourism in Nanda Devi, the local communities launched into a flurry of activity aimed at safeguarding their rights. Into their third year of the Jhapto Cheeno movement, village leaders felt that the IMF affair would prove pivotal in their own struggle to regain their common property resources and prevent further erosion of their rights and livelihoods. With the government leaning seriously towards reopening the reserve but possibly falling under the influence of large business interests, the movement sought to deploy the network of social activists and environmental justice organizations it had built up in the preceding years to push their own agenda for establishing community-based ecotourism. 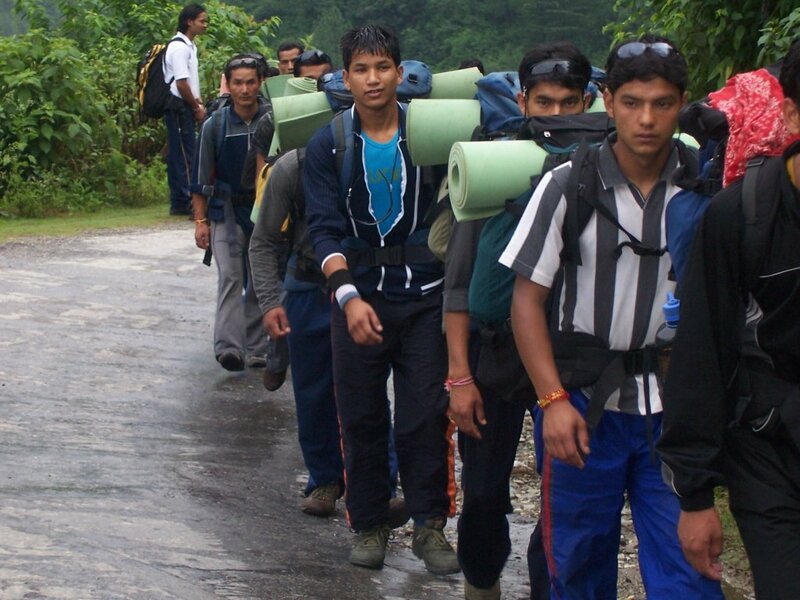 Fortunately, the Bhotiya communities received critical assistance from outside groups, both in Uttarakhand and abroad. Dr. Sunil Kainthola of Jaanadhar, a forest rights organization working throughout Uttarakhand, assisted in launching the Vanaadhikar (“our forests”) initiative to unite similar communities affected by protected areas and draconian forest policies. As early as January 2001, he had held consultations with the much esteemed Rural Litigation and Entitlement Kendra (RLEK) that had been working on the similar case of Van Gujjars in Rajaji National Park. Other communities facing displacement from large-scale development projects such as the many dams planned throughout Uttarakhand were also seen as natural allies. Recognizing the power of such coalition building, Kainthola helped convene the Alliance for Development, a coalition of grassroots organisations that aimed to introduce a strong pro-people and pro-environment voice to the development debates taking place in the new Uttaranchal state. The Alliance felt that making these links was crucial to proposing culturally appropriate and ecologically sound alternatives to prevailing development practices. Moreover, the wedge driven between people and their local environment in such places as Nanda Devi was seen as both a social and environmental catastrophe, requiring a sharp revision of existing conservation policies and a democratization of natural resource management regimes. Furthermore, the Alliance, which included many leading figures in the Uttarakhand activist community, provided a platform to network activists around the country, pool office and staff resources, and present a stronger united front. With such intervention, the MEF, state government, and local park authorities all realized the problematic nature of the IMF proposal. In the fall, two IMF-sponsored international expeditions were denied access to the core zone as the Forest Department pledged to prevent any further unauthorized entry. By October, the Nanda Devi communities would issue their own declaration and hold a workshop elaborating their community-based proposals for opening up the NDBR to ecotourism. In this task, Satish Negi played a vital role from his base in San Jose, California. A software engineer with ancestral links to Uttarakhand, Negi joined the campaign and provided solidarity from abroad by interacting with various scholars, activists, donor agencies, and professional bodies on the campaign’s behalf. He also procured funding for the planned workshop to elaborate the community-based ecotourism plan. On October 14, 2001, the Niti Valley issued a biodiversity conservation and ecotourism declaration. Drawing inspiration from both local history and international conventions, elected representatives, social activists, and citizens came together to proclaim their intention to develop a tourism industry free of human and natural exploitation. Two weeks later, Lata Village Council and Alliance for Development convened their long awaited community-based conservation and ecotourism workshop to provide substance to the historic declaration. Many organizations were represented at the workshop including the Environment and Human Rights Law Network, Indian People’s Tribunal, Kalpavriksha, Friends of Uttarakhand, and Equations, a Bangalore-based equity and ecotourism group. 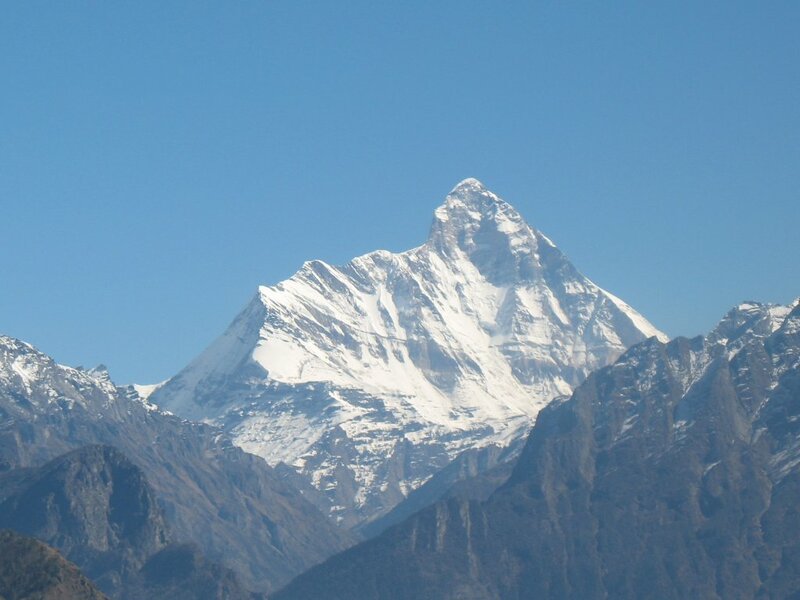 In three days of sessions, attempts were made to redress historic grievances by convening an Impact Assessment Team, plans for a Nanda Devi Ecotourism Development Authority were presented, a partnership concluded with Equations to further develop the ecotourism plan, and a coordinating body constituted to ensure follow-up from the workshop. Dhan Singh Rana led the assembled guests on a field trip into the park, as he had done before during the Jhapto Cheeno protests. Moreover, the local communities saw the workshop as a chance to share their culture through traditional dance and celebrate their victories with the release of Sangarshnama, a book chronicling their struggles from Chipko and Jhapto Cheeno to the IMF affair. In the spring of 2003, the new director of the NDBR opened up the Nanda Devi Biosphere Reserve (NDBR) to limited tourism for the first time in 20 years. The government’s official 2003 plan envisions balancing biological conservation, economic development, and sustainable eco-tourism practices. The new plan will allow 500 visitors to visit the reserve per annum, while maintaining exclusive management rights for the local villagers. A new 4-km trekking route will be extended into the core and the effects on the delicate alpine ecosystem will be closely monitored and future plans established accordingly. The people of Nanda Devi now face the daunting prospect of managing a community-based tourist trade with few of the resources, experience, and expertise enjoyed by the big tourist agencies who they struggled to keep out in favour of local economic empowerment. Moreover, vigilance over the government’s guarantees and enforcement of their policies will be key in ensuring that employment is generated for the local community. In this context, the struggle has moved into a decisive phase, where capacity building and training of local youths will be key in ensuring that the gains can be fully enjoyed by those who have fought so hard to see this day.